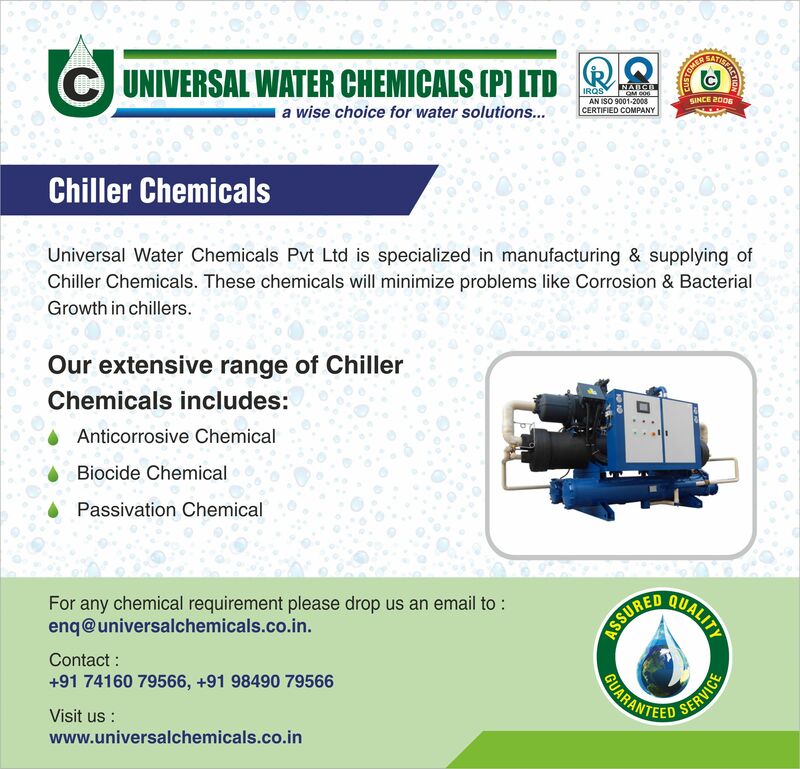 Universal Water Chemicals Pvt Ltd is specialized in manufacturing & supplying of Chiller Treatment Chemicals. These chemicals will minimize problems like Corrosion & Bacterial Growth in chillers. 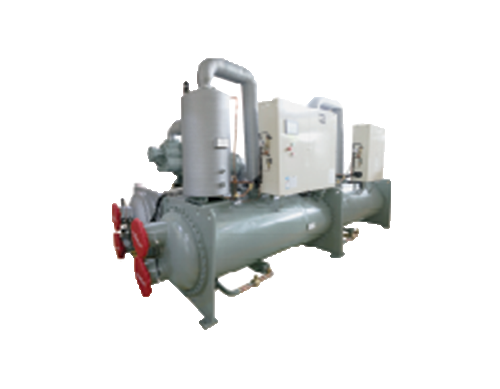 Universal Water Chemicals Pvt Ltd Chiller Chemicals are developed for all types of Chillers. To get more information on Chiller Cleaning Chemicals, or to speak with a chemical representative about your Chiller Treatment System, call 7416079566 or fill out this Contact Us Form . In closed water system – such as chilled loops, which are permanently hidden from view, the main problem is corrosion. Generally in closed systems people will use best quality (R.O/ D.M) water to prevent scaling and fouling but because of R.O / DM water quality the corrosion will arise. In the closed cooling system, when water is chilled, due to heat exchange the water will more corrosive by its nature. It will react with metal and form metal oxide. Means the metal loses will take place. So, to prevent such problem we need to add a good corrosion protect chemical. Our UNI PROTECTIVE is one of such protective chemical. Please find below the chemical specifications. UNI PROTECTIVE is a multipurpose chemical for closed circuit cooling system. It is a strong nitrite based chemical which prevents effectively corrosion and scaling in the system. This corrosion inhibitor will protect both ferrous and non ferrous in your system. Contact Universal Water Chemicals Pvt Ltd when your system needs a Chiller Water Treatment System Solution. From resin cleaning chemicals to AHU cleaning chemicals we have right mix of chemicals and solutions for you. If your system calls for additional water treatment, we can also help there as well. Call us at 7416079566 or contact us through our contact form and let us know how we can help you.